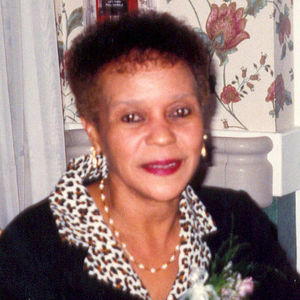 Frances Sue (Gardner) Taylor, 63, of Hartford CT, departed peacefully from this life on April 7, 2006. She was born September 10, 1942 in Shelby, N.C., to the late Floyd Gardner Sr. and Ophelia (Thompson) Gardner. She was predeceased by three sisters, Betty Logan, Gennie Herring, and Helen Harris. Frances lived in Hartford for the past 45 years, and was employed at the Alexandria Manor Convalescent Home in Bloomfield for the past 35 years. Frances leaves to cherish her memory, a devoted husband of 43 years who stood by her side, James Taylor of Hartford; a son, James Kevin Taylor of Hartford; three daughters, Tammy Richardson and her husband Ronald of East Hartford, Leslie Logan of Windsor, and Evg. Lisa Gadson, of Watertown NY; a sister, Della Wright, of Hartford; three brothers, Floyd Gardner Jr. of East Hartford, Robert Gardner of Windsor, and James Montgomery of Charlotte N.C.; six grandchildren, Ronald Richardson Jr., Ashley Gadson, Christopher Bowden, James K. Taylor Jr., DAndre Gadson, and Emmanuel Richardson; a godsister, Emma Bonner, of East Hartford; sisters-in-law, and brothers-in-law; six godchildren, Tyron Herring, Latarra Lyttleton, Shariol Dedmon, Shannon Jemison, and Tony & Troy Cicero; nieces, nephews, and cousins; and her devoted friend & sister, Betty Fair of Hartford. Funeral services will be Friday April 14, 2006 at 1:00 pm at the Carmon Windsor Funeral Home 807 Bloomfield Ave. Windsor. Calling hours will be held from 11-1 prior to the service Friday. A graveside service will be held Saturday at 11:00 am at Mt.St. Benedict Cemetery Bloomfield. Memorial contributions in her memory may be made to the Aneurysm Outreach Inc. 17222 Highway 929 Prairieville LA. 70769. Please visit www.carmonfuneralhome.com for our online guest book and directions.